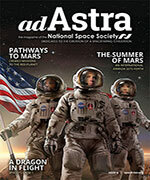 The National Space Society is founding a new online, high-quality, peer-reviewed journal, the NSS Space Settlement Journal. Journal-quality papers are solicited on all aspects of space settlement. 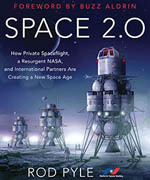 Topics may include, but are not limited to, space settlement design, technology development, infrastructure, closed and semi-closed life support systems, extra-terrestrial mining, transportation, economics, social and legal aspects, historical analogues and activities leading to space settlement. See the NSS website page about the NSS Space Settlement Journal for more information and how to submit papers.